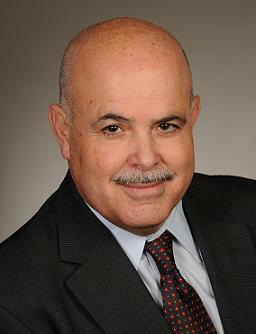 Luis E. Lugo is the director of the Pew Research Center’s Forum on Religion and Public Life. He served previously as the director of the religion program at The Pew Charitable Trusts in Philadelphia and was a professor of political science at Calvin College in Michigan. During his time at Pew, Lugo has overseen research as the U.S. Religious Landscape Survey, U.S. Religious Knowledge Survey, Muslim Americans: Middle Class and Mostly Mainstream, and a survey of Latino religious affiliations called Changing Faiths: Latinos and the Transformation of American Religion. Lugo has also helped expand Pew’s international research with the Pew-Templeton Global Religious Futures Project. Lugo has a Ph.D. in political science from the University of Chicago. He has written and edited several books, including Religion, Public Life, and the American Polity and Sovereignty at the Crossroads? Morality and International Politics in the Post-Cold War Era. Heard on NPR: For a complete list,click here.